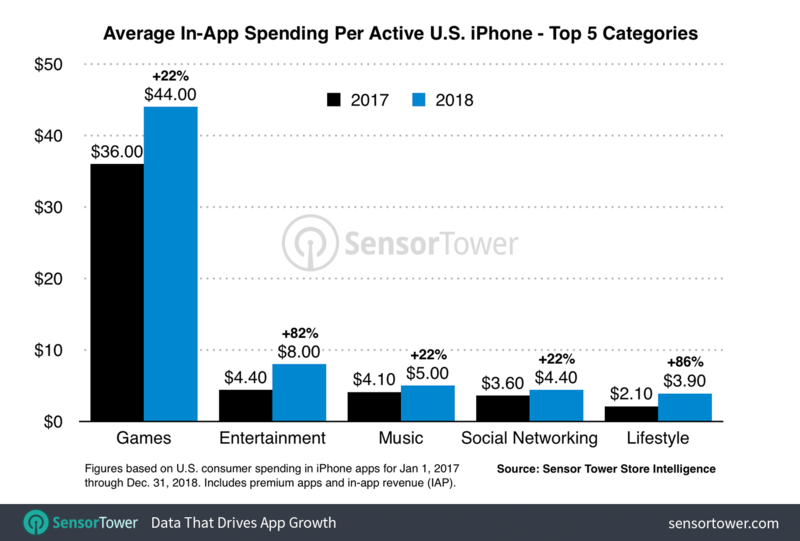 An upcoming Sensor Tower report says U.S. iPhone users spent an average of $79 on games and apps in the App Store during 2018. That’s up 36% from 2017. Most of the growth came in the mobile gaming category, with 56% of the $79 being spent on games in the App Store. Spending was also up in other categories, including entertainment, music, social networking, and health and fitness. While gaming grew at a good rate, more substantial growth took place in the categories outside of gaming – including the categories where subscription-based apps tend to rule the top charts. Per-device app spending in the U.S. grew more over the past year than it did in 2017. 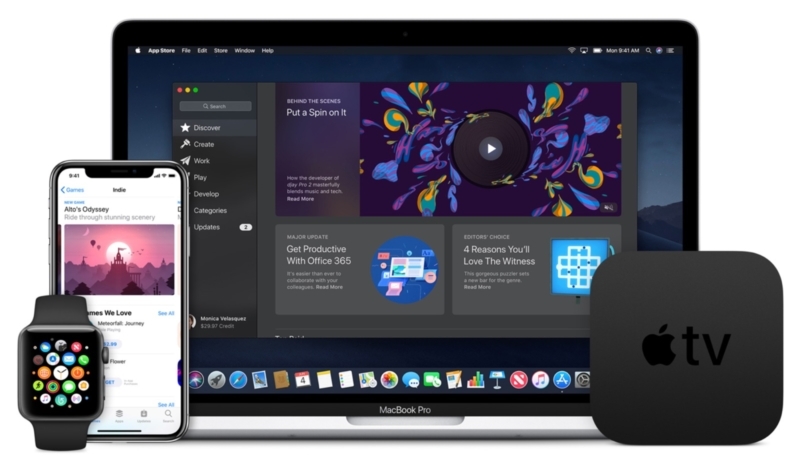 From 2017 to 2018, iPhone users spent an average of $21 or more on in-app purchases and paid app downloads — a 36% increase compared with the 23% increase from 2016 to 2017, when revenue per device grew from $47 to $58. This indicates that subscription apps are helping to drive iPhone consumer spending higher.